VERVILLE, ALPHONSE (baptized Joseph-Alpha Varville, on 20 Jan. 1930 he gained recognition from the Superior Court of Quebec for the name by which he had always been known), plumber, union leader, and politician; b. 28 Oct. 1864 in the Montreal parish of Notre-Dame-de-Grâce, son of Alfred Varville, a blacksmith, and Pamela Leduc; m. 1 Jan. 1884 Joséphine Mailhot of Saint-Norbert-d’Arthabaska, Que. ; they had no children; d. 20 June 1930 in Montreal and was buried there in the cemetery of Le Repos Saint-François-d’Assise on 23 June. Alphonse Verville attended the parish school in Sault-au-Récollet until he was apprenticed at the age of 14 to a plumber in Montreal. His apprenticeship completed, in 1883 he left for the United States, where he would spend the next ten years. He worked at a number of jobs, including that of foreman in various large workshops in Chicago. The experience he gained in plumbing and installing heating equipment would enable him to set up his own business upon his return to Montreal. Since he joined a union, he also had an opportunity to learn about the American trade union movement. As soon as he came back in 1893, Verville became involved in the Montreal labour movement. At the end of the 19th century craft unions were growing rapidly in Canada, at the expense of the Knights of Labor and Canadian unions. Although they described themselves as international unions, most of them were North American. The International Association of Journeymen Plumbers, Steamfitters, and Gas Fitters had been active in Canada since 1888. Local 144 in Montreal was created on 22 Sept. 1898. Verville apparently was its founding president, and he remained in office until 1902. On being elected business agent for his union in 1900, he ceased working as a plumber to devote himself full-time to union organizing. From 1900 Verville rose rapidly within the Quebec and Canadian union hierarchies. 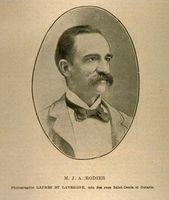 Elected to a term as vice-president of the Federated Trades and Labor Council of Montreal in 1900, he served as president from 15 Oct. 1903 until January 1905. Founded in 1897, the council – which officially became the Montreal Trades and Labor Council (MTLC) in 1903 – brought together craft union locals in the Montreal area. Its mandate was to defend the rights of union members at the municipal government level. 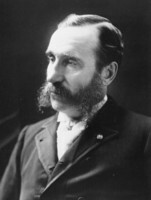 At the time of Verville’s election as the council’s president, he held the positions of secretary-treasurer and business agent of the plumbers’ union as well, and he was organizer for Canada on behalf of the International Association of Journeymen Plumbers, Steamfitters, and Gas Fitters. 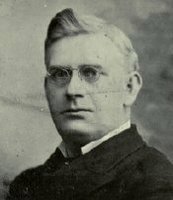 In 1903 Verville was also elected vice-president of the Quebec provincial executive committee of the Trades and Labor Congress of Canada. Founded in 1883 by the Knights of Labor and the craft unions [see Charles March*], the TLC sought primarily to make the federal government aware of the problems of workers, so that it would enact laws favourable to them. On 23 Sept. 1904, at the annual convention of the TLC in Montreal, Verville was elected president. He would retain the office for five successive terms, but refused to stand for re-election at the convention held at Quebec in 1909. A wide variety of issues was dealt with during his presidency, the most significant being working-class political action, which was discussed at the important Victoria convention in 1906 and which would lead to the creation of an independent labour party; strengthening the TLC’s stand against immigration; the nationalization of some public utilities, such as railways; and the demand for an eight-hour day for all workers. 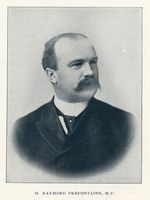 Verville ardently supported craft unionism, which emphasized the organization of labour on the basis of the interests of a specific group of workers, namely, skilled tradesmen. Like others backing this strategy, he wanted to improve the material conditions of workers through collective bargaining, but within the capitalist system. To achieve this goal, the unionization of skilled tradesmen was fundamental, since they were the group that could attain the most favourable balance of power with employers. This approach to union activity, which Verville would champion throughout his career, ran counter to that of the Knights of Labor, which wanted, among other things, to organize the working class as a whole, not just skilled tradesmen. It would lead Verville to call for the expulsion of the Knights from the TLC at the convention held in Berlin (Kitchener), Ont., in 1902. In regard to labour relations, Verville promoted conciliation and harmony between capital and labour, with the state intervening as arbitrator in the event of disputes. Lastly, he advocated working-class political action, but of an independent kind, outside the framework of traditional political parties such as the Liberals and the Conservatives. On the other hand, to avoid rifts and dissension among union members, Verville declared his support for the creation of a labour party without official ties to organized labour. At the 1906 convention of the TLC, therefore, he opposed its socialist wing, which wanted workers to join the Socialist Party of Canada. After 1909 Verville continued to attend TLC conventions as a delegate from the plumbers’ union. In 1915 he would even be elected to represent the TLC at the Trades Union Congress of Great Britain. Although Verville favoured the unionization of a privileged group of workers, he also demanded social measures to help the population as a whole. Education was clearly one of his major concerns. When he appeared before the royal commission with respect to the Catholic schools of Montreal, appointed in 1909 by Premier Sir Lomer Gouin, Verville called for the centralization of the Catholic school boards of the island of Montreal, standard free textbooks, the appointment of a worker to the Catholic Board of School Commissioners of Montreal, and free, compulsory education. A further sign of his interest in education was his acceptance of appointment as secretary-treasurer to the corporation of the Montreal Technical School in May 1912. In Verville’s view the most effective way to improve the working and living conditions of the working class was by lobbying public bodies, a task that could be carried out by trade union organizations such as the MTLC and the TLC, but more direct means, such as political action, could also be used. Hence, while serving as president of these two organizations, he decided to run in the provincial election of 25 Nov. 1904 as the Labour party candidate in Hochelaga. Disappointed with the policies of the Liberal governments of Félix-Gabriel Marchand* and Sir Wilfrid Laurier*, in whom workers had placed high hopes, a group of them from Montreal under the leadership of Joseph-Alphonse Rodier*, a union leader and labour columnist, had founded this party in 1899 to defend the interests of the working class. Taking its inspiration from the British Labour party, its program included measures that then seemed radical to some people: free and compulsory education, abolition of the property qualification for candidates in municipal elections, a law holding employers responsible for accidents in the workplace, and state sickness and old age insurance. Waging an effective campaign, Verville also attacked the trusts and called for the creation by the provincial government of a Quebec department of labour. Supported by the union organizations of the city and by the newspaper La Presse, which called on the public to vote for the labour candidate, Verville benefited from the failure of the weakened Conservative party to field a candidate in the working-class riding of Hochelaga. He gave his Liberal opponent, Jérémie-Louis Décarie, a run for his money, polling 4,123 votes to Décarie’s 5,462. Encouraged by this result, Verville returned to the fray in a federal by-election held in February 1906 in the riding of Maisonneuve following the sudden death of cabinet minister Raymond Préfontaine*. Opposing the Liberal candidate Louis-Ovide Grothé, a cigar manufacturer who had incurred the unionists’ hatred, Verville won this largely working-class riding by a little more than 1,000 votes. He would be re-elected in Maisonneuve in 1908 and 1911 and Saint-Denis in 1917. Verville’s speeches in the House of Commons dealt mainly with issues related to the field of labour. Faithful to the TLC’s program, he vigorously objected to immigration, arguing that the constant arrival of workers in urban centres created pressure to reduce wages. Satisfied with the Immigration Act enacted by the Liberal government in 1910, Verville stopped making speeches on this subject. In 1907 the Canadian parliament had passed the Industrial Disputes Investigation Act, which provided for compulsory conciliation in public utilities and in the mining sector. Although the TLC approved the legislation at its 1907 convention, even before the bill was passed Verville had stated in the house, “I am strongly in favour of that, because I have always advocated a closer connection between capital and labour, that is the only way in which we can avoid strikes.” It was, however, on the question of shortening the working day for those employed in public works (then from nine to twelve hours long) that Verville concentrated most of his energy. 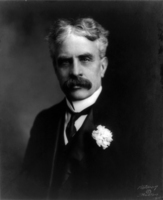 He introduced his bill on the eight-hour day during the 1906–7 session, but it ended before the measure was given second reading. He renewed his attempt during the next two sessions, with no greater success. During the 1910–11 session the bill finally received third reading, but with substantial amendments that weakened it. Believing that the general principle of his bill was respected, Verville endorsed the new version without consulting the leaders of the TLC, who criticized him severely for this action. The house passed it on 13 Feb. 1911, but ultimately it was rejected by the Senate. Verville’s decision to support the amendments was not surprising in view of a statement he had made during the 1906–7 session, in the course of a debate on industrial disputes: “What I want is legislation. Give me bad legislation if you will, but give me legislation, for I would rather have bad legislation than no legislation at all; bad legislation we can amend, but if we have no legislation we cannot improve it.” He presented his bill again in 1912 and 1914, under the Conservative government of Robert Laird Borden*, and withdrew it for good in 1914, since it had not reached second reading. During the conscription debate in the spring and summer of 1917, Verville stated that working people did not want conscription, and he predicted there would be a general strike in Canada if this measure was passed. Despite the repeated promises he had made from the time of his 1904 electoral campaign to remain independent of the “old political parties,” Verville soon realized that, as the only labour representative, he was isolated in Ottawa. Because the rigidity of the two-party political system left him little option but to align himself with an existing party, he chose to make common cause with Laurier’s Liberals, finding their positions came closest to the interests he was defending. In Montreal labour circles his election had raised high expectations. There was soon criticism and after 1907 it became vicious. While some people were satisfied with what Verville had achieved in Ottawa, others thought he was acting “exactly like a Liberal mp” and was not upholding the Labour party program. To ensure that Verville would be re-elected in the 1908 federal election, Laurier asked his candidate, Victor Gaudet, to withdraw from the race. From then on the Liberal party never ran an accredited candidate against Verville. In 1911 the alliance became official: Verville campaigned in favour of Laurier’s cherished policy of commercial reciprocity with the United States, on a Liberal-Labour ticket. While holding his seat in Ottawa, Verville accepted an appointment to the Administrative Commission of the City of Montreal, which Premier Gouin had set up on 9 Feb. 1918, after the board of commissioners was abolished. The mandate of the five-member commission, which was headed by notary Ernest-Rémi Décary*, was to manage the overall municipal administration and put the city’s finances in order. Restricting the powers of the mayor and city council, slashing expenses by dismissing a number of municipal bureaucrats, and increasing the city’s powers of taxation, the commission soon became very unpopular with both citizens and elected officials. In view of this situation, the provincial government had to bring the commission’s work to an end in 1921, a year before its term was up. Verville’s appointment to the commission was not his first position in municipal affairs. In 1916 he had been named to the Montreal Tramways Commission, which was to draw up a new public transport contract between the Montreal Tramways Company and the city of Montreal. His work on the two commissions was sharply criticized by a number of labour activists. One of the criticisms was that he had not upheld the policy of nationalizing public utilities, which was strongly supported by the labour movement. Because of his political conduct, Verville eventually was expelled from the Quebec provincial section of the Canadian Labor Party at its meeting on 1 Dec. 1918. It was not only the deliberations of the Administrative Commission of the City of Montreal that came to an end in 1921: so did Verville’s political career. He chose not to run in the federal election of 6 Dec. 1921. After nine years in retirement, he died on 20 June 1930 in Montreal, at the age of 65, following stomach surgery. On the whole, Alphonse Verville’s political career seems not to have been an unqualified success. Isolated as the only labour mp in Ottawa, he soon joined the Liberal camp, partly because he needed the support of the party in power to get his eight-hour-day bill passed, and partly because the ideas he advanced were consonant with those of the Liberals. Verville’s political path was similar to that of other Canadian trade unionists (such as Ralph Smith*, a miner from Nanaimo, B.C.) who were elected under the Labour party’s banner early in the 20th century and who would also move to Laurier’s Liberals. Disappointed in the position taken by Verville, who had not managed to reconcile working-class expectations with the demands of politics, a number of Labour party activists quit provincial and federal politics at the end of the 1910s in favour of a more active role on the municipal scene. Verville was not solely responsible for this shift. The many defeats suffered by labour candidates in provincial and federal elections, along with the striking victory of carpenter Joseph Ainey* at the board of commissioners of Montreal in 1910 and the abolition of the property qualification in 1912, encouraged this swing to municipal affairs. ANQ-M, CE601-S6, 29 oct. 1864. Labor World (Montreal), 28 June 1930. People’s Voice (Montreal), 23 Dec. 1905. BCF, 1922. Can., House of Commons, Debates, 1906–7. Geoffrey Ewen, “International unions and the workers’ revolt in Quebec, 1914–1925” (phd thesis, York Univ., North York [Toronto], 1998). 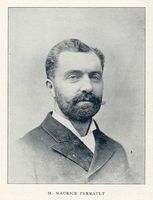 Éric Leroux, “La carrière polyvalente de Gustave Francq, figure marquante du syndicalisme international au Québec (1871–1952)” (thèse de phd, univ. de Montréal, 1999); “Les syndicats internationaux et la commission royale d’enquête sur l’éducation de 1909–1910,” RCHTQ [Regroupement des Chercheurs-Chercheuses en Hist. des Travailleurs et Travailleuses du Québec], Bull. (Montréal), 23 (1977), no.1: 5–28. P. K. Malloy, “Alphonse Verville, ‘Liberal-Labour’ member of parliament, 1906–1914” (ma thesis, Univ. of Ottawa, 1970). Jacques Rouillard, “L’action politique ouvrière au début du 20e siècle,” in Le mouvement ouvrier au Québec, sous la dir. de Fernand Harvey (Montréal, 1980), 185–213. Trades and Labor Congress of Canada, Report of the proc. of the annual convention ([Ottawa]), 16 (1900)–25 (1909). Éric Leroux, “VERVILLE, ALPHONSE,” in Dictionary of Canadian Biography, vol. 15, University of Toronto/Université Laval, 2003–, accessed April 22, 2019, http://www.biographi.ca/en/bio/verville_alphonse_15E.html.